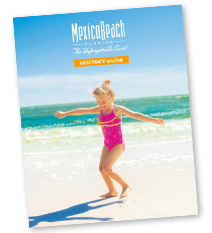 The Mexico Beach Photography Contest received over 165 photographs for this year’s contest. Thanks to all those who submitted pictures, the judges had a hard time determining winners for each category. If you submitted a photograph and it won, a letter will be mailed to you with information on your win. All winning photographs will be on display in the Mexico Beach Welcome Center. For those who did not win you may pick up your pictures at the Mexico Beach Welcome Center. No photographs will be mailed back. Pictures will be available until December 30th, 2013. Thank you for entering and we hope you will enter again next year!